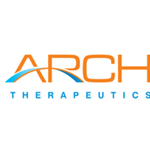 FRAMINGHAM, Mass., March 11, 2019 (GLOBE NEWSWIRE) -- Arch Therapeutics, Inc. (OTCQB: ARTH) ("Arch" or the "Company"), developer of novel liquid, gel and solid hemostatic and wound care devices, will be featured as a presenting company at the 31st Annual ROTH Conference. The conference is being held on March 17-19, 2019 at The Ritz Carlton, Laguna Niguel in Orange County, California. The presentation will be available for download at: https://www.archtherapeutics.com. Roth Capital Partners, LLC (ROTH) is a relationship-driven investment bank focused on serving emerging growth companies and their investors. As a full-service investment bank, ROTH provides capital raising, M&A advisory, analytical research, trading, market-making services and corporate access. Headquartered in Newport Beach, CA, ROTH is privately-held and employee owned, and maintains offices throughout the U.S. For more information on ROTH, please visit www.roth.com. 1. AC5 Topical Hemostat and AC5 Surgical Hemostat are currently investigational devices and are limited by federal law to investigational use.